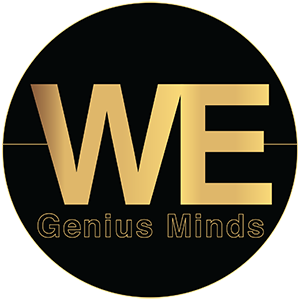 “WE Genius Minds reveals the unspoken stories of extraordinary, legendary Women. This distinct documentary feature film takes you on a journey that brings back to life, as never seen before, the inspiration and legacy of Divine Immortal Women. This is the first time a documentary will expose an in-depth look into Extraordinary Genius Women. This film will explore their unique life, which is ever more relevant to our current times. It is time to rewrite HISTORY! Since the time of ancient Mesopotamia, ancient Rome, the Renaissance, the early 1900s, up to our present time, we have been ruled by patriarchal societies. As a result, we know very little about brilliant Women worldwide who have been leaders and played exemplary roles but were hardly ever recognized as such. How much do you know about these great Genius Women? Ninhursag, the Goddess of Genesis; Mary Magdalene, an Initiate equal to Christ; Perenelle Flamel, who Discovered the Elixir of Life; the personal life of Joan of Arc, Conqueror and Heroine of France; The true identity of Da Vinci, The “Universal Genius”; Elizabeth I, Virgin Queen & Sovereign Goddess; Aspasia of Athens, Most renowned woman of Ancient Athens; Mileva Máric Co-authored Einstein’s early work; J.K. Rowling, Named the “Most Influential Woman in Britain”; and JZ Knight: Greatest Woman Genius of our time. the Great Spiritual Teacher, Inventor, and Channel of Ramtha the Enlightened One. Her Near-Death Experiences, going through the Tunnel and the Other Side, and understanding of Quantum Physics, Alchemy, and Technologies of the Future are extraordinary made simple,” quoting WE Genius Minds Facebook page.